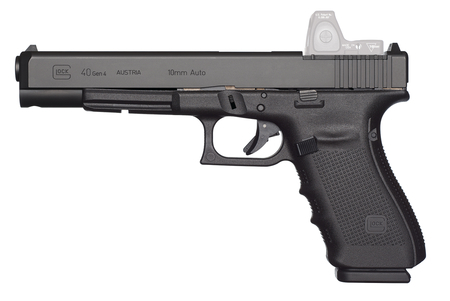 Can be outfitted with any number of reflex style sights that mount directly to the top of the slide, no custom machining required. Interchangeable backstrap. Reversible mag release. Gen4 Rough Textured frame. Dual recoil assembly. Adjustable sights.